Some news outlets prematurely hinted at the defeat of Prime Minister Bibi Netanyahu in Tuesday’s Israeli election even before today’s official vote tallies revealed a decisive victory for Netanyahu’s Likud party. 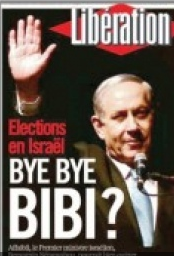 The French newspaper Liberation featured a picture of Netanyahu captioned “Bye Bye Bibi?” and The New York Times reported that Netanyahu was “fighting to stay in power.” Yet, television exit polls already on Tuesday night clearly showed Likud with either an advantage of one Knesset seat over the Zionist Union or in a tie with that party, and today’s official results produced a six-seat advantage for Likud. Al-Jazeera reported that the Arab public was showing up to polling stations in large numbers and took credit for prompting Netanyahu and the Likud to call a special meeting to warn against a possible upheaval. The Saudi news outlet Al-Arabiya reported that despite the high Arab turnout numbers that were reported in the morning, by the afternoon the Arab turnout had stabilized to its statistical norm, and that it would likely not be higher than 55 percent of eligible Arab voters. Al-Arabiya’s Arabic-language website featured a report that quoted senior officials in Saudi Arabia and Kuwait as saying they preferred a Netanyahu government over one led by the Zionist Union’s Isaac Herzog and Tzipi Livni, since those Arab states assume Netanyahu will be more determined to stop Iran’s nuclear program. 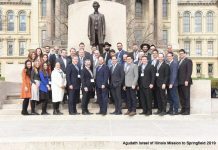 One must realize that an attack by the world media and the Obama Administration on Bibi (regardless of what you personally feel about him) is an attack on all Jews. Don’t make that immature mistake that one can separate the two. They are using an attack on Bibi/Israel as an Anti Semitic way of bringing out their hatred against ALL Jews. Look: The “Global” left-wing media are all a big bunch of losers. 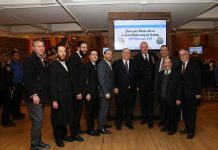 If Netanyahu has learned anything, after the dust has settled, he will fire police chief Danino and attorney general Weinstein and investigate a few judges. One of the reasons that democracy exists is for civilian control over the police. Juries exist as a check against misuse of the criminal justice system. These guys are not humble servants of the law, people, and heaven. On the contrary they have arbitrary power and have seriously abused it, in addition to being generally incompetent. 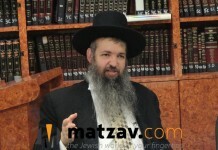 I do not believe that the legal actions against Marzel and Netanyahu have anything to do with law. It’s about time that Israel start pulicising the fact that it was the British who first called the Jews Palestinians.I know many Jews who before the State carried Palestinian Passports issued by the British Occupiers . They claimed to have the right to do so under what they called “a Mandate “given to them:By? ?